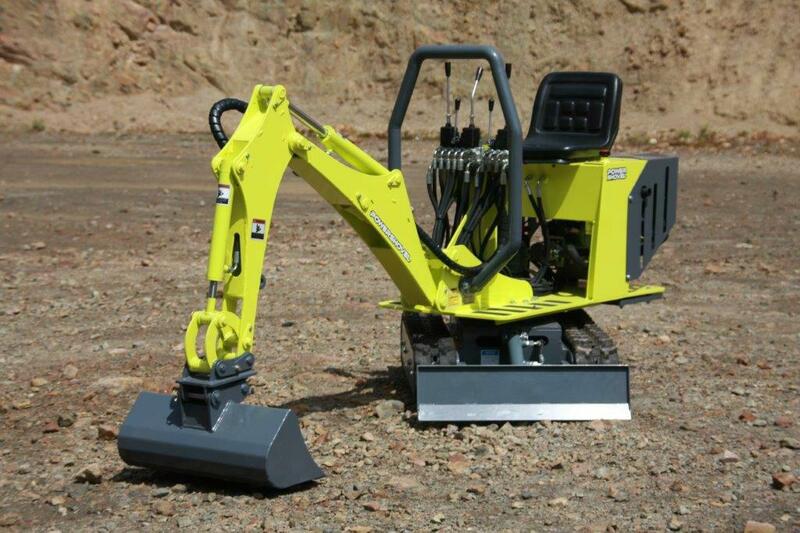 If you’ve been looking for a mate to give you a hand digging – this little beauty’s the one! Ready to work as hard as you want - when you want – no whingeing! – no beers! Developed for the rough jobs you’ll expect it to handle at work, on your bush block or around the home. 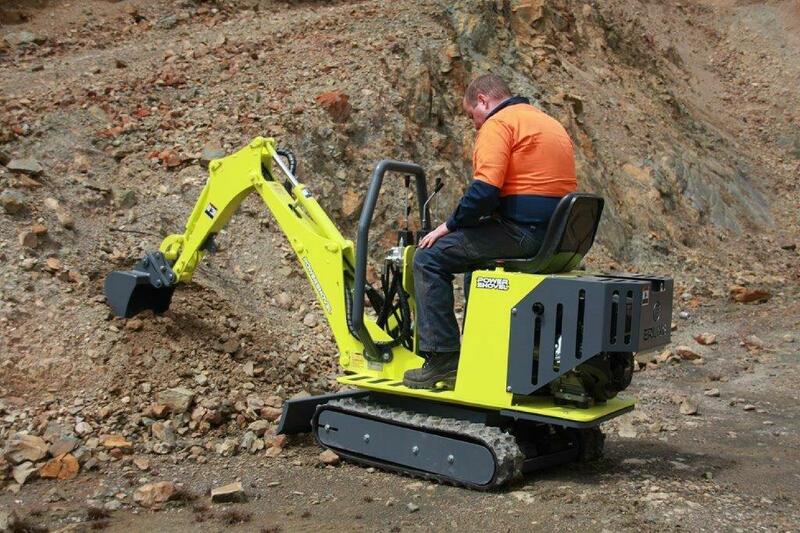 The POWERSHOVEL range is tough, easy to use and affordable with more than enough grunt for a machine of its size. Hassle free with no electronics and a simple rugged design for low maintenance. Designed, Developed and Manufactured in Australia with fair dinkum Aussie steel by a small family business in Tassie, this innovative POWERSHOVEL E1500 petrol Excavator kit comes with the 10.5kW (14hp) Kohler petrol engine, grader blade, 200mm digging bucket with replaceable hardened teeth, 600mm mud bucket and counterweight all up for only $21,275 including GST and delivery. If access through small gates or tight spaces are not an issue - no worries! For an extra $1000 you can upgrade to the new model 1m wide by 1.25m long tracked Yowie ‘bigfoot’! 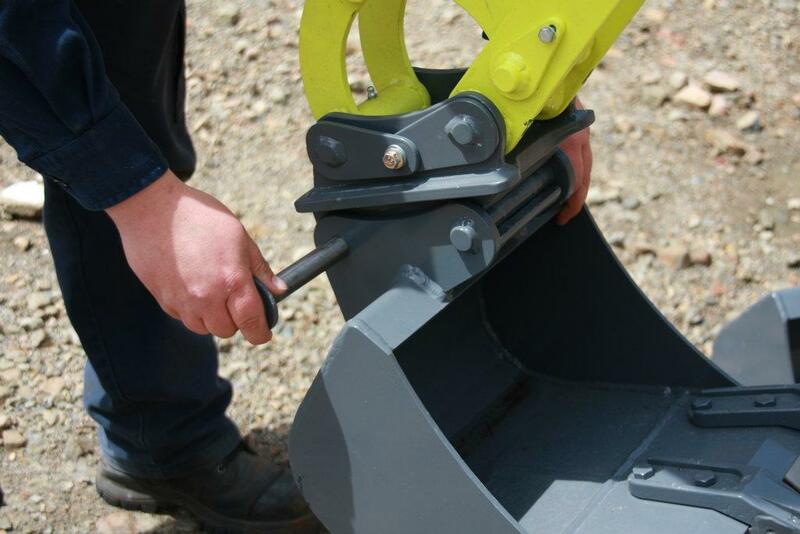 And if your arms are buggered, back’s stuffed or you’re just getting a bit long in the tooth, the light weight range of buckets and attachments can be easily managed with the half hitch system to make it EASY FOR YOU to change over attachments. A timesaver and a back saver! New components are arriving in store shortly, so for an early delivery of your machine in September YOU MUST ORDER NOW as stocks will be limited! All machines can be shipped throughout Australia direct from the factory in Tasmania. The delivery inclusive price shown is into the major transport depots in NSW of Canberra, Albury, Armidale, Coffs Harbour, Dubbo, Lismore, Newcastle, Orange, Port Macquarie, Singleton, Sydney, Tamworth, Wagga & Wollongong. 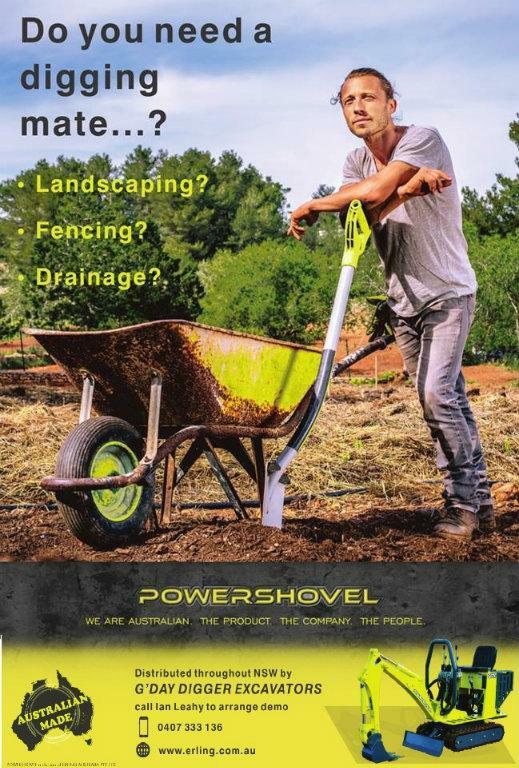 Authorised Powershovel Dealers in NSW, ACT, Victoria, Queensland and Tasmania for demonstrations, quotations and service. Payments can be made by PayPal, credit card or direct deposit. Financing & insurance options available.